The pivot shift test is the most specific clinical test as it is able to accurately indicate an anterior cruciate ligament (ACL) rupture. 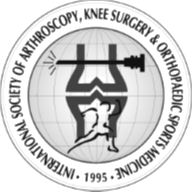 The results can be divided into a low-grade tear, which indicates an ACL rupture in isolation, and a high-grade tear which indicates an ACL rupture with disruption of secondary stabilisers of lateral compartment, e.g. anterolateral ligament (see vumedi reference)/ lateral meniscus) ITB. What is a pivot shift test? The examination is then carried out in each of three positions of rotation. A positive test may result in a gentle slide (Grade 1), or in a more severe jerk (Grade 2), or clunk (Grade 3). The grade of the pivot shift has been shown to correlate with patient-reported functional instability and clinical outcomes. Confirming the importance of this test in assessment of patients’ ongoing functional instability after surgery, 85% of studies assessing clinical outcomes after ACL reconstruction use the pivot shift test. Historically, clinicians have used the Lachman’s test (KT 1000) to determine the functional outcome. However, obliteration of anterior translation may not significantly correlate with subjective and objective function. Recent studies correlate residual rotatory instability with decreased patient satisfaction, increased functional instability, chondromalacia and the development of osteoarthritis.